The Native American feather was given as a sign of respect and honor. Native American who had a personal accomplishment or achieved something great for the tribe was often given feathers by chiefs or elders as a symbol of strength. 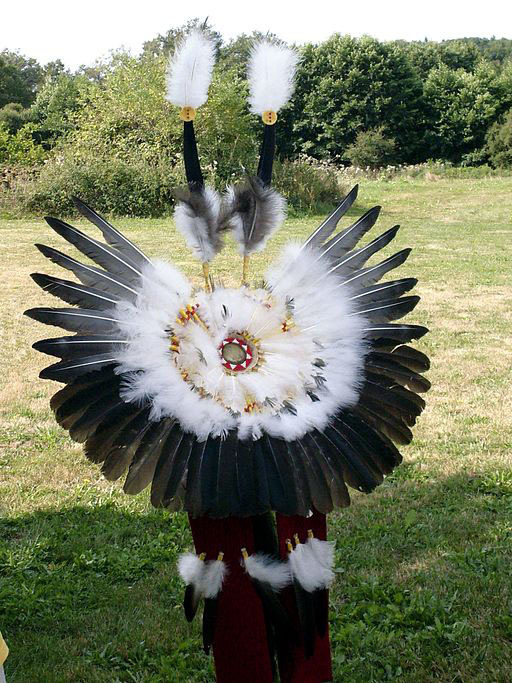 The Native American with the most feathers in his headdress is usually the chief. One must complete a brave deed in order to be given one of these feathers. For example, coming back from battle after conquering the enemy or returning from a hunt with food for the tribe would most likely earn a Native American feather. 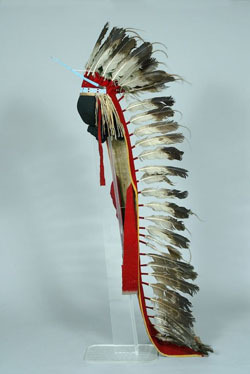 The feather could only be worn once the Indian has retold their story of bravery in front of an assembled tribal court. Being given a feather of any kind was considered a gift. However, the feathers of Bald and Golden Eagles are considered the most prestigious. This is because Native Americans believe that because these eagles soar so high in the air they have a connection with the heavens. Eagles are believed to be sent by the gods. Eagles are the most important of all Native American feathers, because they are supposed to be the superior species of bird. Once a Native American feather is given to a tribesman it must be displayed proudly. It can be hung in the home, or attached to an article of clothing. It is considered disrespectful to place the feather somewhere it can not be seen. The individual in possession of the Native American feather is also responsible for it well being. It must be cared for and kept out of harms way. It should be seen a s a daily reminder of how one should behave. It should be kept clean and never touch the ground for any reason.